How much does it cost to do a Home Extension? The cost of a home extension can range from around £1,000 to £2,000 /m² for a straightforward single storey extension. The quality that you want may want would affect the cost of your extension. Hence, an average 5m x 5m home extension would cost around £30,000 and up to £50,000 if you are living in London. 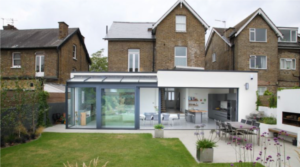 Variables such as whether the extension is a single or two storey, how much floor space your extension would have, what the extension would be used for and the amount of window glazing that you are planning to use would affect the cost of your home extension. 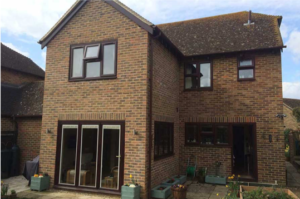 A generally accepted rule is to add an extra 50% to the cost of a single storey extension. So, if you are doing a two storey 5m x 5m home extension, it would cost around £60,000 or more if you live in London. You have to remember that if you are planning to do a home extension, you would be required to build a roof and foundations as well.